Plaza Harbour Island Penthouse. Expansive views show all of Harbour Island channel & river & all of the Bayshore. Bay and sunsets most of the year. The views are mind blowing. Although this is a 4 bedroom, 4 full bath ensuite apartment, one bedroom is used as an office. The apartment has hardwood floors throughout and granite counters. The living room is large wet wet bar. The separate dining room can have expanding tables. There is a wonderful media sitting room, kitchen is open to a large family room and master bedroom has a morning kitchen, huge walk-in closet & master bath. The east side of the apartment has 3 ensuite bedrooms adjacent to the media sitting room making total privacy for the west side master bedroom. Wonderful amenities include 2 conference rooms, a business center, 2 rec rooms, a large gym, with massage room & a guests suite for your house guest, an outdoor living room, outdoor kitchen and infinity pool with Jacuzzi and cabanas that have wifi. The 24 hour guard service is separate from a true concierge for tickets, parties and to service your needs. There is separate valet service. 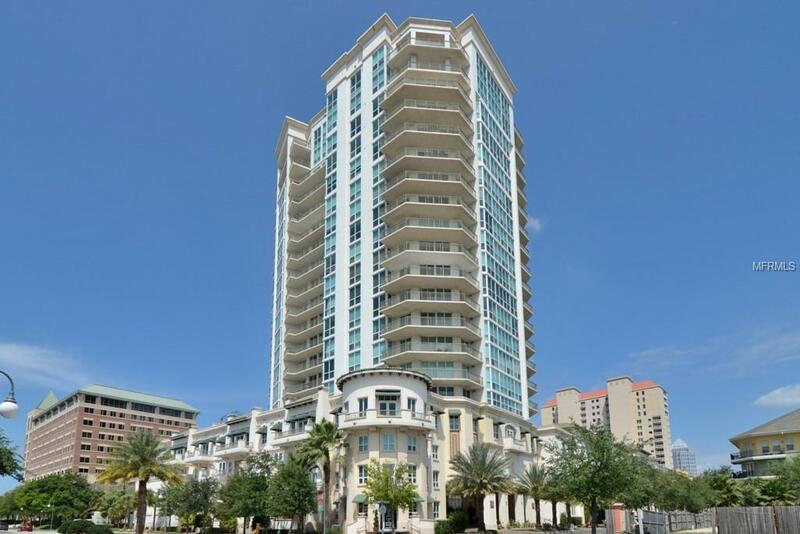 This building is seconds from downtown Tampa, minutes from Bayshore, schools, shopping, churches, international and private airports, hospitals, International Mall shopping and 30-45 minutes to our Gulf beaches and 1 hours to Disney Parking spaces 2-25 and 2-26; storage 205. Also for Lease.